On Friday morning the Obama Administration removed lease sales in the Chukchi and Beaufort Seas off Alaska, an important feeding area for gray whales and humpbacks. These two Arctic sites were originally included in the Bureau of Ocean Energy Management’s proposed Outer Continental Shelf (OCS) Oil and Gas Leasing Program for 2017-2022. Thankfully, Secretary Jewell announced that the OCS program will now move forward without the Arctic lease sales. 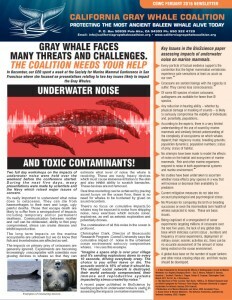 The Administration cited, among other factors, “the fragile and unique Arctic ecosystem” and “significant risks to sensitive marine resources.” This is a leviathan victory for the whales, and for the whale watching industry in the Pacific Northwest and all along the Pacific Coast. The 37-member businesses of Pacific Whale Watch Association (PWWA) now take out about 400,000 passengers every year from 21 different ports in Washington and BC. Last year, PWWA operators participated in the first-ever transboundary economic study of the whale watch industry in the Pacific Northwest, which showed that in 2014 our businesses generated an estimated $144 million USD in economic impact in the region, with a growth rate of 8.3% annually. 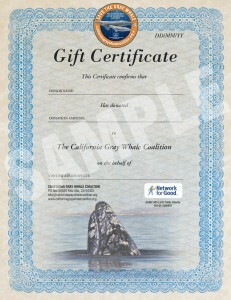 Together with other whale watch companies along the west coast, that figure jumps to over a half-billion dollars a year. 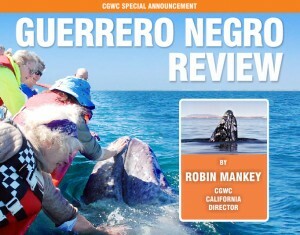 Whale watching now fuels one of the most vibrant regional economies on the planet. In addition to contributing to climate change, oil drilling in the Arctic poses a number of serious threats to whales, including ocean noise caused by drilling, and were an oil spill to occur in the remote icy waters there, it would be impossible to contain or clean up. It’s said that the best oil spill response strategy is to make sure oil spills don’t happen in the first place. President Obama just helped do that. But the work is far from over. Capt. Hobbes Buchanan is the owner of San Juan Island Whale & Wildlife Tours and Black Fish Whale & Wildlife Tours, both in Friday Harbor. For the last five years, Michael Harris has served as Executive Director of the Pacific Whale Watch Association (PWWA), a trade group of 37 dedicated whale watching and ecotourism businesses committed to research, education, and responsible wildlife viewing.